New Delhi: The Centre for India Australia Studies (CIAS) of O.P. 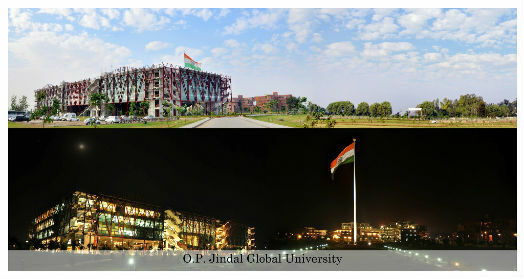 Jindal Global University (JGU) recently launched its flagship initiative, the Young Leaders Externship Advancement Programme (YLEAP) in Australia. The CIAS has partnered with the Commonwealth Attorney-General’s department and a number of leading Australian law firms for YLEAP, an initiative which provides unique internship opportunities for JGU students in Australia. The launch of YLEAP allows students to gain valuable international work experience in law firms and government organisations and provides a unique stepping stone for Indian students who are considering a potential career in Australia. With YLEAP, JGU and the CIAS are another step closer to realising the vision of making Indian students more aware of opportunities in Australia and importantly, making Australia more accessible to India. In addition to these unique work experience opportunities, the Law Council of Australia recently recognised the JGLS degree, making it much simpler for JGLS graduates to become qualified to practise law in Australia.